... he was 36 years old when he died. in the mid-1960s, Bob Marley worked briefly as a DuPont lab assistant and on the assembly line at a Chrysler plant, under the name Donald Marley. Nesta Robert Marley was born in the village of Nine Mile in Saint Ann Parish, in Jamaica, West Indies. 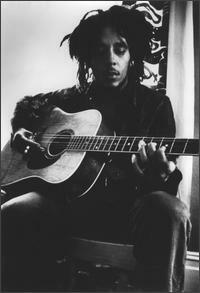 A Jamaican passport official swap his first and middle names and he became Robert Marley - but best known as Bob. His father, Norval Sinclair Marley, was a white Jamaican of English descent whose family came from Essex, England. Norval was a captain in the Royal Marines, as well as a plantation overseer, when he married Cedella Booker, an Afro-Jamaican then 18 years old. Although Marley recognised his mixed ancestry, he identified himself as a black African, following the ideas of Pan-African leaders. His two biggest influences were the African-centered Marcus Garvey and Haile Selassie. A central theme in Bob Marley's message was the repatriation of black people to Zion, which in his view was Africa, particularly Ethiopia. In his early teens, Marley started to play music with Neville "Bunny" Livingston - AKA Bunny Wailer. He left school at the age of 14 to make music with Joe Higgs, a local singer and devout Rastafari. At a jam session with Higgs and Livingston, Marley met Peter McIntosh - later known as Peter Tosh. 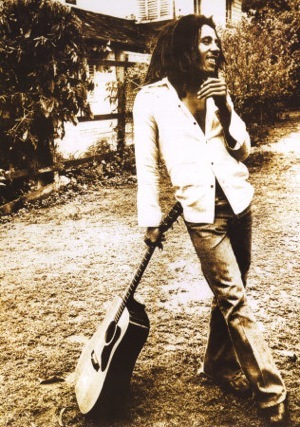 In 1962, Marley recorded his first two singles, "Judge Not" and "One Cup of Coffee," which attracted little attention. 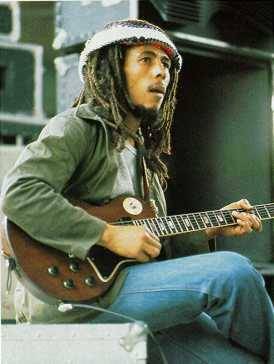 The songs were later re-released on the box set Songs of Freedom, a posthumous collection of Marley's work. In 1963, Bob Marley, Bunny Wailer, Peter Tosh, Junior Braithwaite, Beverley Kelso, and Cherry Smith formed a ska and rocksteady group, calling themselves "The Teenagers." 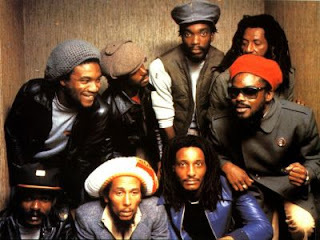 They later changed their name to "The Wailing Rudeboys," then to "The Wailing Wailers" - at which point they were discovered by record producer Coxsone Dodd - and finally to "The Wailers." By 1966, Braithwaite, Kelso, and Smith had left The Wailers, leaving the core trio of Bob Marley, Bunny Wailer, and Peter Tosh. In 1966, Marley married Rita Anderson, and moved near Wilmington, Delaware in the U.S. 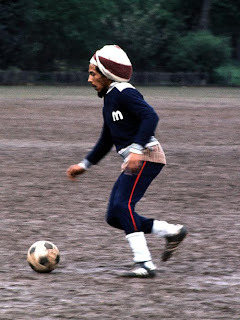 Though raised Catholic, Marley became enamored with Rastafarian beliefs in the 1960s. After returning to Jamaica, Marley began to wear his trademark dreadlocks. Between 1968 and 1972, Bob and Rita Marley, Peter Tosh and Bunny Wailer re-cut some old tracks with JAD Records in Kingston and London in an attempt to commercialize The Wailers' sound. Also in 1968, Bob and Rita visited the Bronx to see Johnny Nash's songwriter Jimmy Norman. 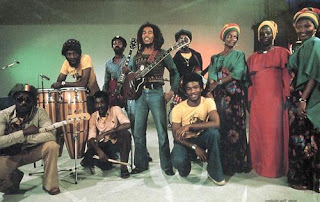 A three-day jam session with Norman and others, including Norman's co-writer Al Pyfrom, resulted in a 24-minute tape of Marley performing several of his own and Norman-Pyfrom's compositions. This tape is, according to Reggae archivist Roger Steffens, rare in that it was influenced by pop rather than reggae, as part of an effort to break Marley into the American charts. In 1972, the Wailers embarked on a tour with American soul singer Johnny Nash. Broke, the Wailers became stranded in London. Marley turned up at Island Records founder and producer Chris Blackwell's London office, and asked him to advance the cost of a new single. Primarily recorded on eight-track at Harry J's in Kingston, Catch A Fire marked the first time a reggae band had access to a state-of-the-art studio and were accorded the same care as their rock'n'roll peers. Blackwell envisioned "more of a drifting, hypnotic-type feel than a reggae rhythm," and restructured Marley's mixes and arrangements. Marley travelled to London to supervise Blackwell's overdubbing of the album, which included tempering the mix from the bass-heavy sound of Jamaican music. Catch a Fire was released worldwide in April 1973, packaged like a rock record with a unique Zippo lighter lift-top. 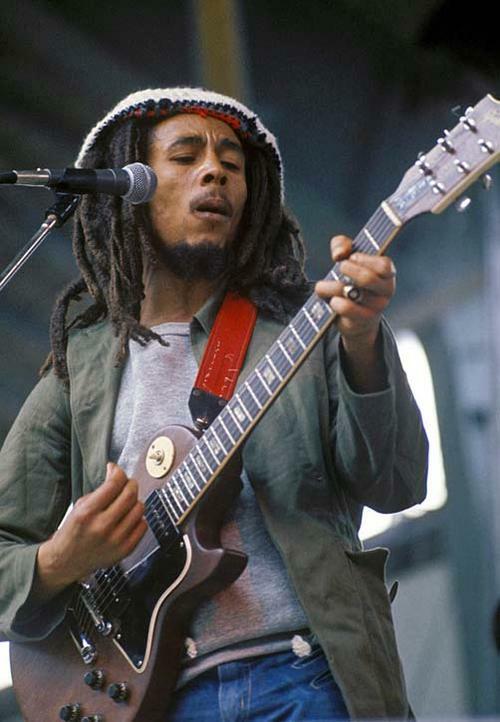 Initially selling 14,000 units, it didn't make Marley a star, but received a positive critical reception. It was followed later that year by Burnin', which included the standout songs "Get Up, Stand Up," and "I Shot the Sheriff," which appealed to the ear of Eric Clapton. 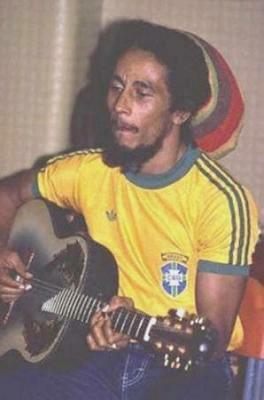 He recorded a cover of the track in 1974 which became a huge American hit, raising Marley's international profile. Many Jamaicans were not keen on the new "improved" reggae sound on Catch A Fire, but the Trenchtown style of Burnin' found fans across both reggae and rock audiences. The Wailers broke up in 1974 with each of the three main members pursuing solo careers. Despite the break-up, Marley continued recording as "Bob Marley & The Wailers" along with his wife and a new group of musicians. In 1975, Marley had his international breakthrough with his first hit outside Jamaica, "No Woman, No Cry," from the Natty Dread album. This was followed by his 1976 breakthrough album in the U.S., Rastaman Vibration, which spent four weeks on the Billboard Hot 100. Eleven albums were released under the name Bob Marley and the Wailers, four live albums and seven studio albums. The releases included Babylon by Bus, a double live album with thirteen tracks, was released in 1978 and received critical acclaim. 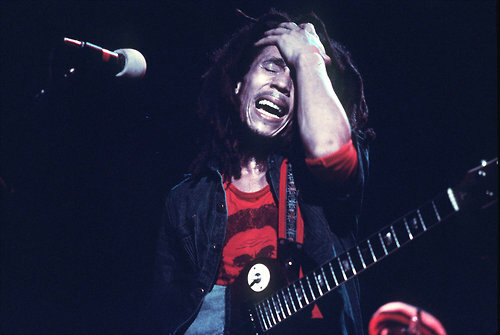 This album, and specifically the final track "Jamming" with the audience in a frenzy, captured the intensity of Marley's live performances. Survival, a defiant and politically charged album, was released in 1979. Tracks such as "Zimbabwe," "Africa Unite," "Wake Up and Live," and "Survival" reflected Marley's support for the struggles of Africans. Uprising, released in 1980, was Bob Marley's final studio album, and is one of his most religious productions; it includes "Redemption Song" and "Forever Loving Jah." At the start of a European tour, Marley injured his toe playing football (soccer.) In July 1977, he was found to have acral lentiginous melanoma, a form of malignant melanoma. Despite his illness, he wished to continue touring and was in the process of scheduling a world tour in 1980. While flying home from Germany, Marley's vital functions worsened. After landing in Miami, Florida, he was taken to hospital for immediate medical attention. He died at Cedars of Lebanon Hospital in Miami on May 11, 1981, at the age of 36. The spread of melanoma to his lungs and brain caused his death.